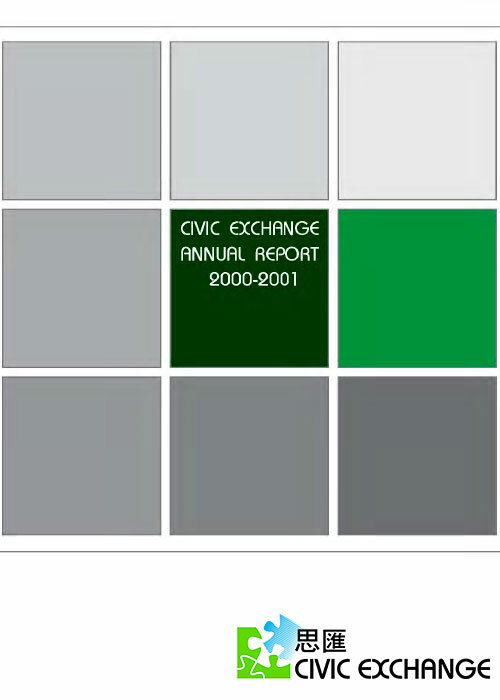 Civic Exchange’s first annual report documents our establishment and getting off the ground. We believe we are creating a unique approach to developing public policy in which we combine research, thinking, experiment, and building stakeholder consensus in a practical and participatory manner. There is a story of how we got to where we are. Even though Civic Exchange is only one year old, the key individuals who make up the organization have been involved in public policy for some time. Setting up Civic Exchange represented the next step of our collaboration. Civic Exchange is grateful to design school students from Hong Kong Polytechnic University for creating our first annual report.